Can I Take My Newborn Out In The Cold? Newborns aren't able to manage their body temperature like adults can. So, as the thermostat dips, the way you handle outings with little ones needs to change. Know your babies' limits and plan ahead when making a trip outside so you can keep them well this winter. Before infants head outdoors, make sure they are wearing fresh diapers and are insulated against the cold and wet. "A good rule of thumb is to dress newborns in as many layers as you're wearing," said Diane Arnaout, M.D., FAAP, a Cook Children's pediatrician in Willow Park. "That includes covering their heads, hands and feet. Those areas can lose a lot of heat and be harder to keep warm." 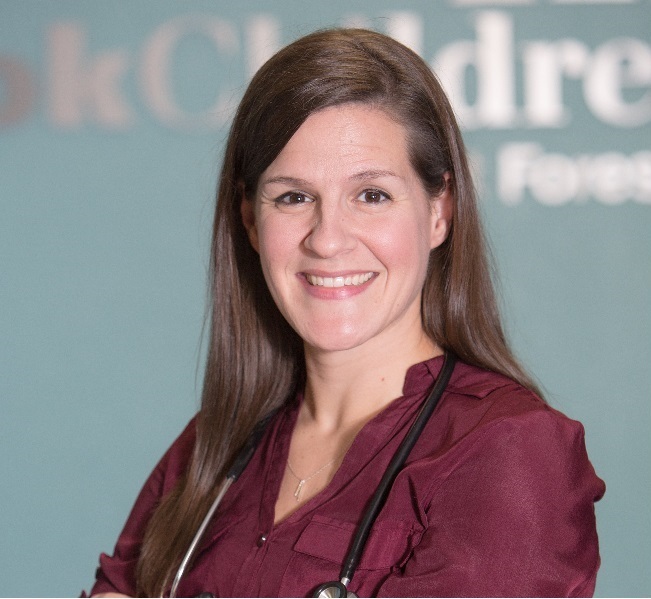 As a mom of young children, Dr. Arnaout has first-hand experience in facing area winters with a newborn. She recomends using socks to keep tiny hands and feet warm, knit hats for infant heads and sunglasses to keep the bright winter sun out of little eyes. It's important to regularly check on newborns while you're together outdoors. Babies tend to fuss when they're uncomfortable, so if they are crying or restless while you're out and about, it may be time to move outside. To see if infants are getting too cold, check their ears, nose, hands and feet regularly. If your own nose or ears are cold or your lips and becoming chapped, odds and it's too cold outside for babies. Blue skin, shivering and a cool chest and stomach are signs that children may be dangerously cold. If you see these signs, take action immediately to get kids out the cold. Seek immediate medical attention if you're not able to warm the body. Dr. Diane Arnaout joined the Cook Children's Willow Park practice in 2011. Dr. Arnaout was born and raised in the Dallas-Fort Worth area. She served as a leader on the medical education committees during her internship and residency in pediatrics at the University of Texas Health Science Center in the Texas Medical Center at Houston, Texas.